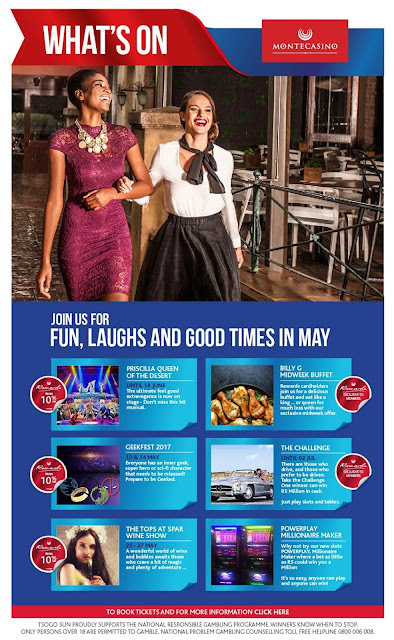 Montecasino, Fourways is always buzzing with entertainment and some or the other thing for all ages and kinds. Here is what the month of May 2017 looks like at the Montecasino. Go checkout this amazing venue from Tsogo Sun. Priscilla - Queen of the Desert is one of the most colorful and amazing dance show with great fun and laughter. Geek Fest 2017 is what I am also looking forward to this year.